Arthur J. 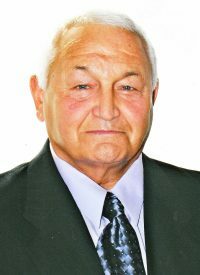 “Art” Roselli – 79 – of 10104 Oak Hill Road, Arkport, died Thursday afternoon (January 24, 2019) at his home, following a brief illness. In addition to his parents, Art was preceded in death by his brother, Francis “Buck” Roselli and his infant granddaughter, Angelina Eicher. He was married in 2001 to the former Barbara Morsch who survives. Also surviving are 1 son, John Roselli of Hornell; 3 daughters, Karen (John) Dagon of Hornell, Kathryn (Joe Ebert) Roselli of Alfred and Anne Rovito of Harpswell, ME; his step-children, Tammy (Scott Smith) Roosa of Arkport, Ty (Cyndi) Forbes of Spartanburg, SC, Tracey Bennett of Virginia and Kelly (Tom) Weidman of Farmington, NC; 7 grandchildren, John Dagon JR, James Dagon, Sam Dagon, Tagan Rovito, Josh Hillier, Drake Hillier and Jax Roosa; 1 great-grandson, Cadian Buck; several nieces, nephews & cousins. Mr Roselli (as I’ve always called him) iwas by far the Alfred University Men’s Basketball team’s greatest fan in the early 80’s. I knew Arthur via his daughter who at the time was in a long-term relationship with my roommate (high school sweethearts who married and who I consoder two of the best people in the world, Karen & John). Mr Roselli was at every AU game for all four years that I played. Arthur suffered through some tough years, but he never showed disappointment and always greeted me with that big smile. I recall a diiscussion with Mr Roselli after another home loss to start our junior season 1 – 6. Coming off back-to-back 8-17 seasons, this seemed like it was going to be a repeat of the same. Mr Roselli, forever positive, told me not to worry, “you guys will turn it around…I know it”. That man must have been chatting with God because we not only turned our season around, we won the conference title and an automatic bid to the NCAA D3 tournament. I’ve never seen a person more proud than Arthur when we beat our arch nemesis, St Lawrence, in a tie breaker game in Alfred. Mr Roselli was as excited about our win as a little boy getting his favorite toy for Christmas. The following year we went 25-3, ranked top 20 nationally, won the conference title again, made it to the Sweet 16 of the NCAA tournament and etched our names in the AU history books. Our #1 fan never missed a home game and never stopped smiling. I am blessed to have known Arthur and to be able to share my success with him. No doubt in my mind that his spirit lives on within his children and grandchildren. My memory of Mr Roselli will forever will be that terrific smile and big ol’ bear hug. I have been trying to emulate Mr Roselli as I have grown up and with some divine intervention I may have a chance! Thanks Arthur for continuing to inspire me 33 years after graduation. I can guarantee you that whenever I’m having a tough day, the thought of you will lifft my spirits. That smile and positive attitude is forever etched in my memory. Thank you, my friend. Godspeed, Mr Roselli. Rest In Peace. For several years, I babysat for the 4 children of Mr. Roselli, even for full weekends. At times, I went with the family to outings. He always made sure the children had what they needed. RIP Mr. Roselli! So sorry to hear about your Dad. My father passed away this past November at the age of 99. Please extend my sympathy to your family.